There is a solar eclipse heading our way soon! It’s the kind of event that comes around only once every few decades in North America. On Monday, August 21, the sun, moon and Earth will line up in just the right way to create a full solar eclipse that will transect the continental United States. If you’re lucky enough the be in the eclipse’s direct path, spanning Oregon to South Carolina you’ll get the full show as the sun is completely blocked out, day becomes night, and even the animals and plants around you react. The luckiest Canucks are those in Vancouver, who will see nearly 90 per cent of the sun go dark around 10 a.m. PST. 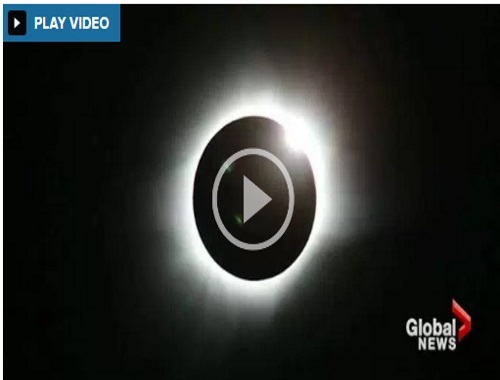 As the eclipse moves farther east, the sun should be obscured by about 80 per cent in Regina, 70 to 75 per cent in Edmonton, Winnipeg and Toronto, 60 to 70 per cent in Ottawa or Montreal, and finally 60 per cent or less in Quebec City, Halifax and St. John’s. Looking directly at the sun is always a bad idea, even if it’s partly obscured, which is why everyone watching the eclipse is encouraged to wear protective glasses (not just sunglasses) to avoid injury to their eyes.